Pico, the second largest island in the Azores, is named for the mountain that rises 2,351 meters (7,713 feet) from its western half. The dormant volcano is not only the highest mountain in the Azores, but the highest mountain in Portugal. From the top, you can see the islands of Faial, São Jorge, Graciosa and Terceira. The island, meanwhile, is 447 square kilometers (172.5 square miles). It is 42 kilometers long (26 miles) and 15.2 kilometers (9.5 miles) at its widest. 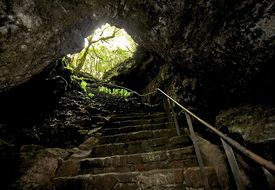 With only 15,000 people, Pico has preserved its unique habitat, particularly in its caves, lagoons, harbors and natural ocean pools carved by centuries of cooling lava. People from the north of Portugal settled on Pico around 1480, if not earlier. 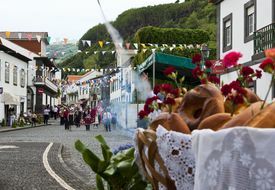 The first village on the island was Lajes, followed by São Roque in 1542. The people cultivated wheat, grapes and pastel – a plant for dyeing that was exported to Flanders. Pico from its beginnings has established itself as an important site for commerce, particularly for its port at Madalena, where people and goods can reach the neighboring island of Faial, along with the rest of the world. 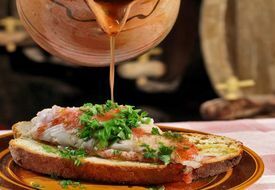 The island also became renowned for its wine production, particularly the Verdelho Pico grape, which for more than 200 years produced a fortified wine that achieved international fame in countries such as England, the United States and Russia. In the 19th century, a fungus destroyed many of the islands vines, and viticulture remained a largely abandoned profession until recent decades. The Azores also were an important destination for American whalers in the 18th and 19th centuries, and you can learn more about Pico's whaling heritage in a museum in Lajes.